The persuasive essay is a lot like an argumentative essay —but it differs a little in terms of approach. The argumentative essay focuses on bringing the research you’ve done front and center and allowing the facts to tell the story. The persuasive essay focuses more on how you yourself use words, reasoning, logic, ideas, and even emotion to move your reader. In this article, we’ll look at how to start a persuasive essay and give you some good tips that will enable you to get your persuasion on! If you’ve ever been fishing, you know you’re not likely to catch a fish without bait and especially not without a hook. The bait goes on the hook which is attached to your line, which you reel in when the time is right. Same idea applies to your persuasive essay introduction. Dangle some bait out there for your audience to see. To know what bait will work best you first have to know your audience. Who is your paper for? Are you addressing a group of students? A group of doctors? A group of lawmakers? Know what will thrill your audience the most—know what is likely to get them going—and use that info as the bait for your hook. The hook is your opening line. It’s the first thing your reader sees. It’s the bright little spot in the deep blue sea that is supposed to catch their attention and get them to want to swim over. If your bait is weak and your hook insignificant, the fish (your reader) is likely to swim on by. That won’t do in a persuasive essay! You have to catch your fish and get your reader to latch on so you can real him in and plop him in your bucket of ice water. Create a hook that is meaningful, sensational, or of genuine interest to your audience. It can be a question that you know a lot of them are asking. You can simply ask it in your first line. It can be a brief anecdote that summarizes an issue that your essay will take a position on. It can be a fact that draws into stark relief a problem which your persuasive essay will address. Whatever you decide, the hook is where it all begins. It has to grab the reader’s attention and link back directly to your thesis. Once the hook is out there and the fish is caught, start reeling her in…slowly. Don’t alarm your reader and cause a struggle to ensue. Ease into your essay by providing some background to the issue you will be addressing. Give a few details on how you will persuade your reader to support your position. Let your reader know that you know exactly what you are doing and how you’re going to do it. It’s amazing how readers are inspired by a writer’s confidence and ability to show command and control of a subject. The more thought out and prepared you show yourself and your essay to be, the less likely your reader is to try to wriggle free and get off the hook before he gets reeled in too far. Close out your introduction with a thesis statement. This is where you clearly and explicitly identify your argument and how you will support it. You are there to persuade your reader to adopt your position—so use any means necessary. You can appeal to intellect, emotion, experience, or ideals. However you decide to persuade your reader, don’t hide your intentions. Let your reader know exactly what you’re going to do. Don’t try to surprise your reader and make him guess as to what your point is. Be up front. Open with a hook that gets your reader’s attention. Fill in the gap between your hook and your thesis with some background information. Explain a little about the subject, why it is important, why it needs to be addressed, why there are so many different perspectives on it, why there is debate about the solution to the problem, and so on. The more background info you can give in a concise manner, the more likely your reader will be to hang on as you take him to your thesis. State you thesis plainly and emphatically in the last line of your introduction. This will serve as the last stop between your intro and the body of your essay, where you will begin persuading your reader in earnest, using whatever tricks and tools you have up your sleeve to get the job done. The thesis is crucial, though, because it tells the reader exactly what you’re going to do. In a way, you’re like the villain spoiling the plot. Don’t ask why it’s always done that way. That’s just the way it’s always done—so go with it. Start off your persuasive essay with a bang! Grab the reader’s attention with a hook that’s baited with a morsel of info that you know your reader will love to nibble on. Then slowly reel the reader in with a little background info that reduces the reader’s will to struggle and resist. Finally, state your intention to the little fish and yank that sucker out of the water and into your bucket of ice cold facts and whatever other persuasive tools you have. Good luck, writer—and, as always, try using one of our model essays uniquely customized to meet your writing needs. "How to Start a Persuasive Essay ( 3 easy steps to follow)." Aceyourpaper.com. Student Network Resources Inc, 29 May. 2018. Web. 20 April 2019. Student Network Resources Inc. "How to Start a Persuasive Essay ( 3 easy steps to follow)." Aceyourpaper.com. 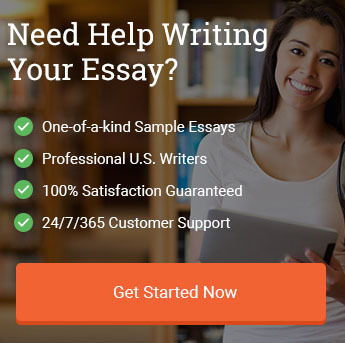 https://www.aceyourpaper.com/essay-writing/how-to-start-a-persuasive-essay/ (accessed April 20, 2019).